Whether this is your first Royal Caribbean cruise or your fiftieth, there are certain nuances and "secrets" to dining on a Royal Caribbean cruise that can be overlooked. These lapses can result in time or money wasted, or perhaps simply missing out on something you might have otherwise preferred to try. Here are a few Royal Caribbean dining mistakes to avoid on your upcoming Royal Caribbean cruise. When researching your Royal Caribbean cruise, it is easy to make note of the really enticing specialty restaurants onboard, and then deciding to dine there once you get onboard the ship. Perhaps this decision is made in an effort to spend onboard credit or just an assumption that there will be plenty of tables available any night of the cruise. The reality is specialty dining has never been more popular on Royal Caribbean ships. If you value dining at a specific time and day, or want to enjoy a meal on a formal night or holiday, booking a reservation in advance is critical. Royal Caribbean allows guests to book reservations online prior to a cruise, which ensures you get the exact time and day at the restaurant of your choice. And you can even use your onboard credit for pre-cruise purchases now! Did you know that in the main dining room (and some specialty restaurants) you can order as many entrées, appetizers or desserts as you like? Often first-time cruisers will order food like they do when they go out to a restaurant at home: one appetizer, one entrée and maybe a dessert. But on a Royal Caribbean cruise, not only can you order as much as you want, you should! The serving sizes of entrées in Royal Caribbean restaurants tends to be on the small side. Plus, you are absolutely allowed to order as much as you want in the main dining room. This is a great opportunity not only to indulge, but to also try out some new foods, like escargot! If you enjoy wine, did you know Royal Caribbean allows guests to bring up to two bottles of wine per stateroom onboard? While Royal Caribbean prohibits bringing beer or other alcohol on your Royal Caribbean cruise, guests are permitted to bring up to two bottles of wine with them. If you have more than one room, start multiplying that allotment by the number of rooms you have. And yes, champagne is allowed too since it is technically considered "sparkling wine." If you are in traditional dining for dinner, each guest will be assigned a table in the main dining room upon embarkation. The table number and dining room is denoted at the bottom of your SeaPass card. But did you know you can change your assignment? 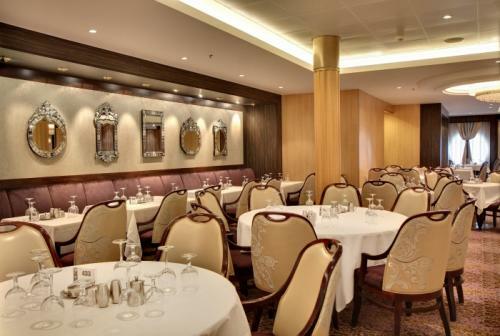 On embarkation day, a smart idea is to head down to the main dining room and locate your table to see where you are located and what size table you have been assigned. If the location is not to your liking, or perhaps you are seated at a table larger than your party (which likely means you will be seated with other guests), you can speak to the head waiter on duty and request a change. The head waiter will do their best to accommodate you, but we have found there is a bit of flexibility with changes. If you opted for dinner on your schedule in the form of My Time Dining, while you can just show up and get a table for dinner, we believe it is best to make reservations in advance. Unless you eat dinner very early or very late, there can be a wait associated with guests who walk up for dinner. The wait may be short or long, but it is still a wait. Prior to your cruise (or even once onboard), you can (and should) make reservations for each evening to ensure you are seated quickly. No one likes to wait to eat, and since the option is there, take advantage of it. Were you aware on sea days the main dining room is open for lunch? The main dining room for lunch is an easily overlooked lunch option, because many guests either are unaware of it or assume the menu is not different from other venues. In fact, the lunch menu is quite different and will change every day it is open. Moreover, lunch in the main dining room features the amazing salad and pasta bar, known as the Tutti Salad bar. If you decide a Royal Caribbean unlimited drink package is worth it, do not wait to buy it onboard the ship. First, if you purchase it onboard you will have to spend time buying it. Often there are lines on embarkation day to buy the drink package, and then there is a bit of paperwork associated with its purchase. Second, if you buy the drink package online before your cruise, it will absolutely save you money on the total cost! There are discounts offered for the drink package if purchased prior to the cruise, which means money saved for something else on your vacation. If you are new to cruising, it is easy to skip over specialty restaurants simply because there is an additional cost to them. I get it, on principle why should you pay more for food when there is plenty of great food available that included with your cruise fare? The specialty dining onboard a Royal Caribbean ship augments the complimentary food, and offers cuisines and service not found elsewhere on the ship. Sushi, steak, Mexican, hibachi and much more are available with specialty dining and these restaurants are a great way to celebrate a special occasion, or toast to a wonderful holiday. 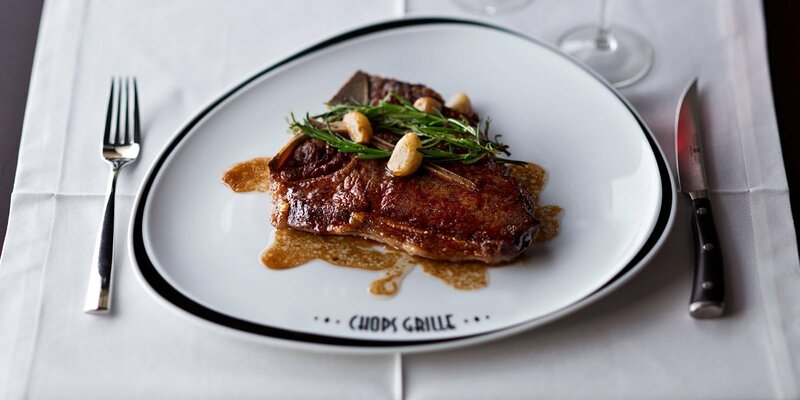 You certainly do not have to dine at a specialty restaurant every day, but sprinkling in one or two meals at a specialty restaurant is a great strategy for enhancing the cruise experience. Whether you are six or sixty, do not miss out on the free soft-serve ice cream (technically it is frozen yogurt) available on the pool deck. If you hang out near the pool long enough, you will likely see guests walking around with ice cream cones. No pool day is complete without a frigid treat from the soft-serve machine. If you cannot locate the ice cream machine, ask a crew member for directions. One great tip is to grab a cup from the Windjammer and fill that up with ice cream. Better yet, bring ice cream to the pool bar and amazing drinks can happen! If you have kids that are 12 years old or younger, do not pay for them when making a specialty restaurant reservation before your cruise. Royal Caribbean offers special pricing for children at specialty restaurants, but there is no option online to take advantage of kid pricing. Instead, make reservations just for the adults in the group, and then inform the restaurant upon check-in that you have children with you. We want to hear from you! What is your best tip for avoiding a Royal Caribbean dining mistake? Leave a comment and share with us below!